Day 01 Ashgabad, Turkmenistan Arrival in Ashgabad. 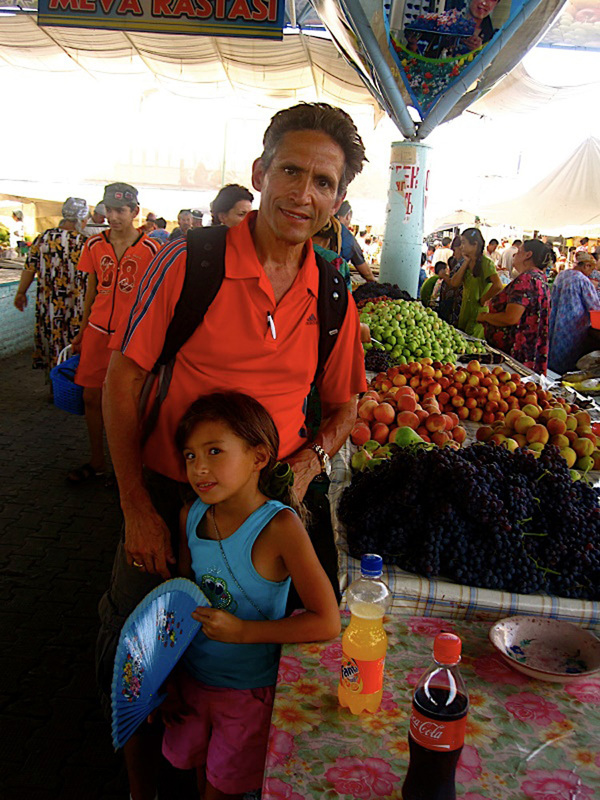 You will be met by your personal guide and driver and transfer to your hotel. Discover Ashgabad's famous Talkuchka Sunday bazaar, one of the largest open bazaars in the world filled with colorful rugs, jewelry, carpets, silk, and fun national Turkmen costumes and hats. Visit a park dedicated to the fabled Turkmen Akhalteke Horses, the hippodrome, Presidential Square, the Monument to Victims of the 1948 Earthquake, and one of the remaining statues of Lenin in the region. Fly to Dashoguz and drive to Kunya Urgench to explore this Silk Road city, the Mausoleum of Turabeg Khanum and the Shrines of Soltan Tekesh and Il- Arslan. 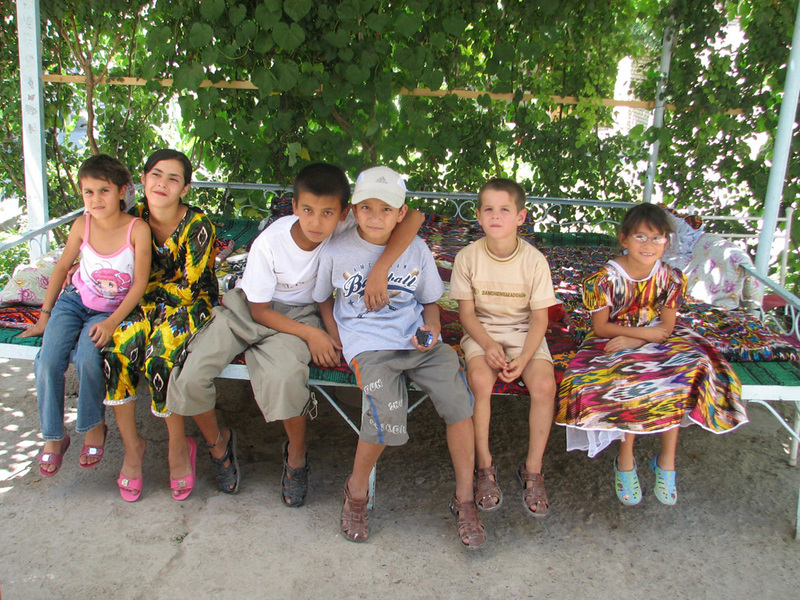 Travel to the border of Turkmenistan and Uzbekistan. 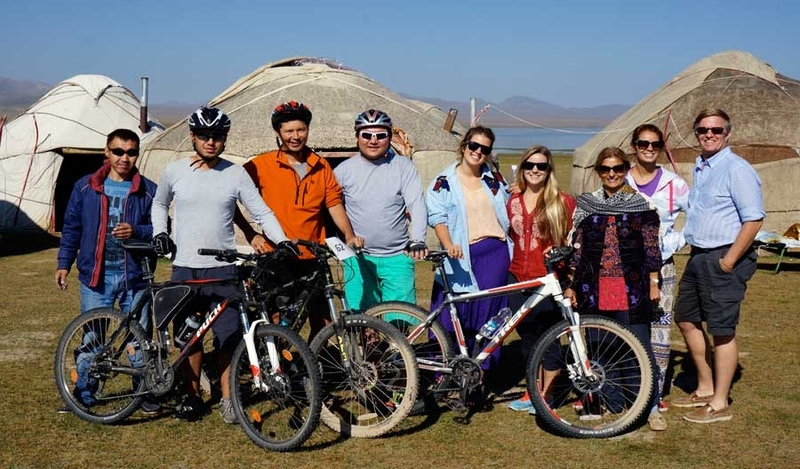 After completing formalities here, continue on to Kalas to experience the life of the nomad and an overnight stay in a cosy yurt in the Kara Kalpak Republic. Fabulous sunset views are a photographer's dream. Dinner with a folklore show around the fire. 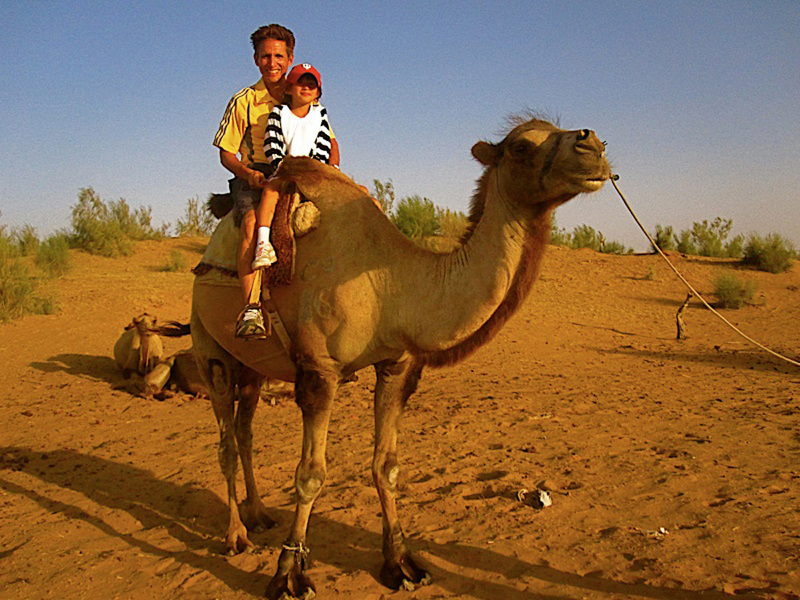 Opt for an early morning camel ride, light hiking, or leisure time and photography in the yurt camp. We'll begin our early drive to legendary Khiva, Uzbekistan's "living museum". Arrival and accommodation at the Shakhrezade Boutique family Hotel, then on to explore this jewel of the Silk Road. The former capital of the Khanate, legend says that it was founded by Shem, the son of Noah. Our excursion takes us to the Ichan Kala (Old City) surrounded by walls of air-dried brick and decorated with delicate majolica tile: delight in the Ata –Darvaza, the Kalta Minar –short minaret, and the Kunya Ark. Learn the proverbs embossed on the tiles of the Pahlavan Mahmud Complex, and enjoy seeing a caravanserai which once sheltered merchants, their camels and merchandise, a puppet theatre and traditional concert. Dinner with a panoramic view of Khiva in moonlight. Sightseeing day drive to Bukhara through the Kyzyl-Kum desert once one of the main Silk Road routes connecting China and Europe. 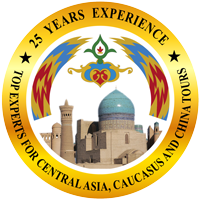 We'll stop at a yurt camp, picnic in a local chaikhana (tea-house), and enjoy a photo opportunity near the Amu Darya (Oxus River)- one of the biggest rivers of Central Asia. Arrival in Bukhara and accommodation at the Boutique Hotel Minzifa or Komil. 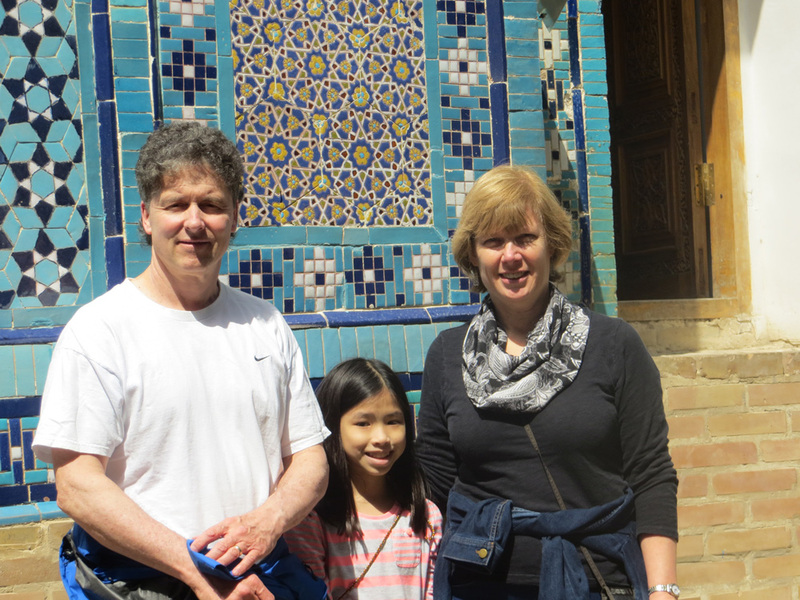 We'll begin with a sightseeing tour of the Labi Khaus Complex around the pond, the heart of legendary Bukhara city. Learn some of the stories of Nasreddin, whose statue is nearby. Explore the serene desert architecture and lively traditions of Bukhara at the Nadir Divan Begi Medresseh, Kukaldash Medresseh, Magoki Attari Mosque and the extensive trade domes and markets. The minaret of the beautiful Poi–Kalon Complex is a city landmark. We'll visit more gems of Islamic architecture at the Kalon Mosque, Miri Arab Medresseh, the 1st century Fortress-Ark, and the Ismail Samani and Chashma- Ayub Mausoleums. Visit Bukhara bazaar to see the intricate embroideries, charming clay figurines, and lovely wood working. 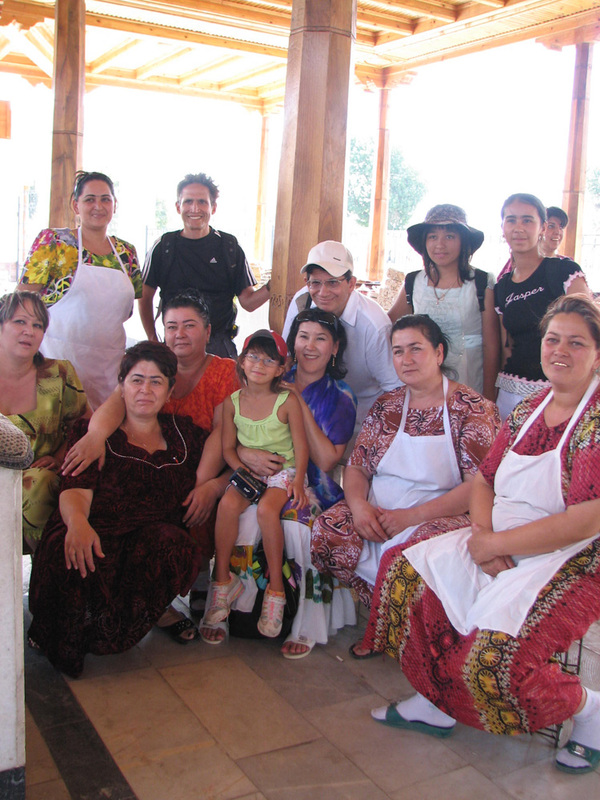 We will visit a local Uzbek family to experience the famous local hospitality and participate in making traditional sweets and Uzbek plov (pilaf). In the afternoon, visit the Sitorai Mohi Hossa, the former summer residence of the local Bukharin Emirs and the Chor Minor Complex. Dinner with folk-show at Nodir Divan Begi Medresseh . Early morning drive to the fabled city of Samarkand. More than 2,750 years old, we'll check in at the more modern Malika Prime hotel right next to the old city sights. Explore Registan Square, one of the most recognized landmarks of the ancient world and the main attraction of Samarkand. We'll also visit a bakery to see how the lovely round local breads are made. After breakfast visit the Prophet Daniel's tomb next to a pleasant ancient water stream. We'll explore the Siab Sunday bazaar and continue sightseeing at the ancient necropolis of the Shahi Zinda Ensemble, and the Gur-i- Emir Complex – the mausoleum of the ancient ruler Tamerlane's family. Take the fast train from Samarkand to Tashkent and the City Palace hotel. Tashkent combines the remains of the ancient city with all the trappings of a modern capital city. Visit the sites on Khast Imam Street, enjoy the bustling Chorsu bazaar - redolent with spices and tradition. Visit Mustakillik Square (Independence Square) and the Abul Kasim handicraft center. Meet with local families and visit a school to enjoy a student performance. Sightseeing morning drive to the Tajikistan border. After formalities here we'll drive to Khodjent, one of the oldest cities of Tajikistan founded by Alexander the Great. 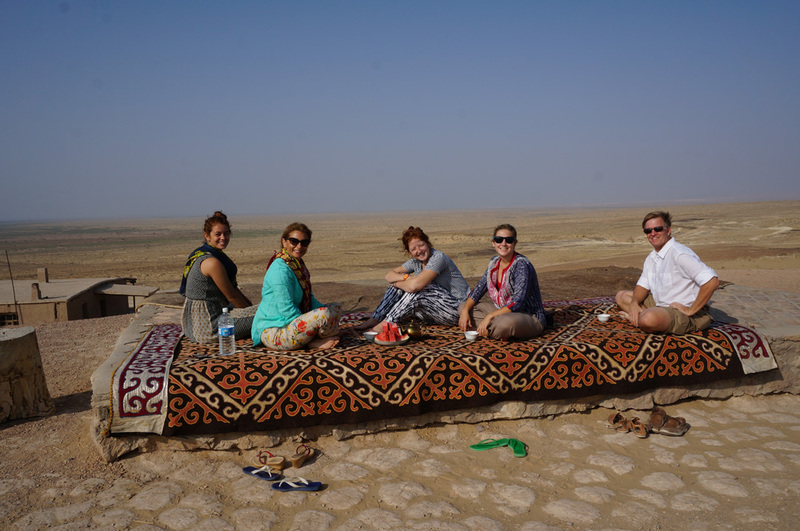 Sightseeing tour to Temurmalik Fortress, the Museum of Archeology and History and the ancient Silk Road Panchanbe bazaar. Return to Tashkent in the evening for dinner. Flight to Almaty, the largest city in Kazakhstan and a unique mix of Russian and Kazakh influences. Accommodation at the Grand Voyage hotel. 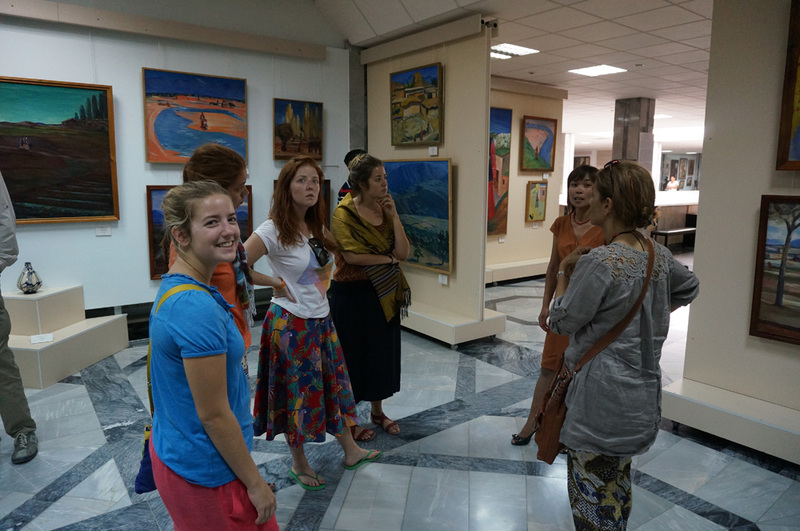 Our sightseeing tour includes the Central State Museum, Almaty's Green Bazaar, the Cathedral of the Holy Ascension and Glory Memorial in Panfilov Park , the Museum of National Folk Musical Instruments and Independence Monument. We'll visit Alatau Park located 15 km from the city in the surrounding snow-capped mountains to enjoy the spectacular views. Scenic drive to Bishkek, one of the greenest cities in Central Asia. Sightseeing tour to leafy Oak Park, where you can find a statue of Marx and Engels engaged in a chat, the changing of the guards in Ala-Too Square, the statue of the Kyrgyz hero Manas, and Victory Square. Visit the Central Museum and the bazaar. We'll stay overnight at the Plaza Hotel. Our day drive to Son Kul Lake will include a stop at the 11th century Burana tower near the ruins of the ancient Soghdian city of Balasagun. The tower enables visitors to climb to the top. Here we can see a collection of balbals – ancient carved Turkic headstones which often appear like large game pieces. We might be lucky enough to catch a show of local equestrian feats. Son Kul is the second biggest lake in Kyrgyzstan, located at 3016 meters above sea level. Here local nomads graze their livestock and the sky seems to stretch forever. Overnight and dinner in your own family yurt under luminous night skies. We'll spend the day hiking, or horse-back riding, and photographing this extraordinary location. We'll learn about the local nomad way of life and culture, even tasting fresh airan (yogurt) and maybe even kumis (fermented mare's milk – the national drink!). The lush Son Kul area is used by shepherds from the Kochkor, Naryn and At Bashi regions as a jailoo – a summer pasture. Lunch in the yurts, then we'll drive to Kochkor village. Overnight and dinner in home stay. In the morning after breakfast you have a chance to see how local Kyrgyz women make colorful shyrdak felt carpets and other handicraft items. You can participate and make your own item. Return to Bishkek and visit the Ala-Archa Mountains to enjoy the beauty of the Tianshan Mountains. Overnight at the Park Hotel. Early morning transfer to the airport to take your International flight for home. 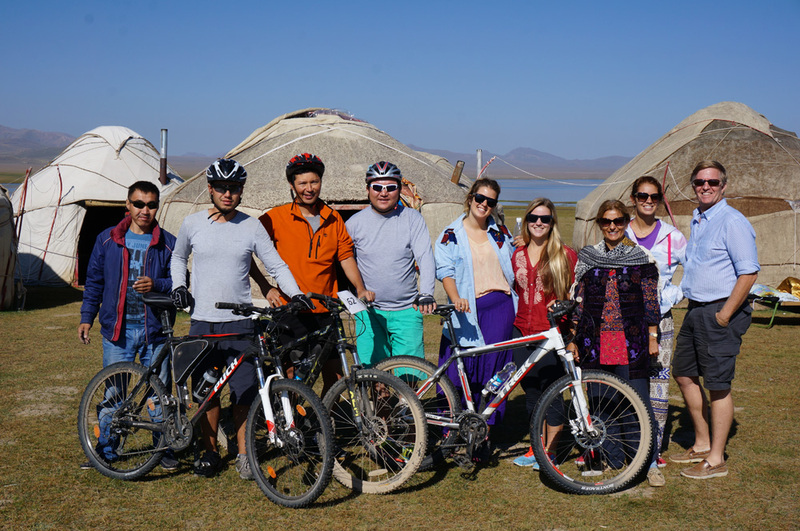 Dine with local families in cities and villages, attend a tea ceremony, relax in a chaikhana, and enjoy an overnight adventure in a yurt, cooking classes with master chefs and local bakers. Create your own 1001 nights in the lively bazaars of Central Asia! Meals: Breakfast and Dinner. One complimentary lunch. A 15 day tour with scheduled Departures throughout the year. Contact us if you are interested in a tour with custom dates.